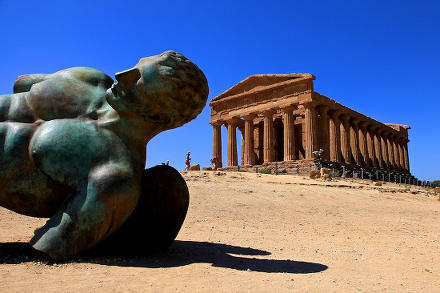 where students find themselves surrounded by archaeological sites and nature, A strategic starting point to explore the island of Sicily and discover the Mediterranean culture. Explore the school and its gardens. 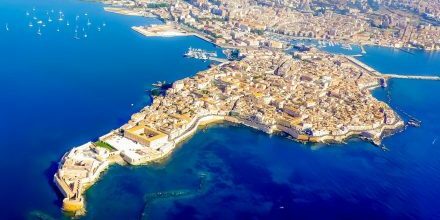 Located on the south-eastern coast of Sicily, Siracusa and its historical island of Ortigia are the ideal place to study Italian language: a lively, modern city rich of history and charm. 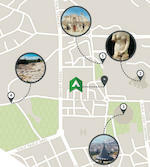 Why Experience Siracusa and Ortigia? 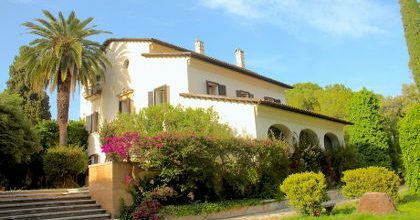 This Italian language course is ideally suited for those who have a passionate interest in history and wish to trace the steps of the great classical authors, philosophers and mathematicians. This flavour rich experience is for all those who wish to discover the unique taste of local Sicilian specialities while learning how they are produced from the masters of the art. This course combines the study of Italian with exciting afternoon activities: trekking on the volcano, archaelogical snorkelling, horseback riding, kayaking, sailing trip and many more. Our mission to share our passion for Italian culture with all those who decide to learn Italian in Italy. We do so by offering top quality Italian language courses with highly qualified and experienced teachers. Our goal to ensure that each student attending our Italian courses gets to experience the best of Sicilian and Italian culture, by immersing in the Mediterranean lifestyle and sharing truly inspiring and rewarding moments with fellow students and friends. Our commitment to setting the gold standard in quality language teaching of Italian in Italy for beginners to advanced, by using all the best resources available and integrating the courses with extracurricular activities and excursions. 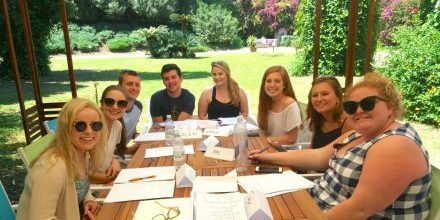 Our welcoming and tightly-knit community that allows all our students studying Italian in Siracusa to live like locals, not tourist as they would in larger cities – getting to practice the skills learnt during Italian classes daily and learn to speak Italian fast in a natural, conversational way. We believe that an Italian language and culture school in Italy should do much more than simply offer language classes, we build a community of learners and create lasting and meaningful connections.